I had to do it this year because there was a game well deserving of it. To say this game is a remarkable achievement is an understatement. There isn't much I can say here that isn't said by others out there other then the wonderful way they handle relationships between characters. 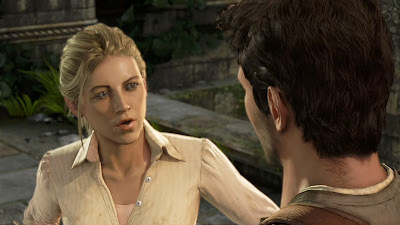 Never before has any video game come close to Uncharted in this way. It just isn't about hitting you over the head with cut scenes and dialog. It's in the way characters react to situation in a way that is more complex and impressive and doesn't pander to the lowest common denominator. It has to be witnessed to be believed. Outstanding game and best game I have played in a long time.